The Courtoy mausoleum. Image by EdwardX, Wikimedia Commons. 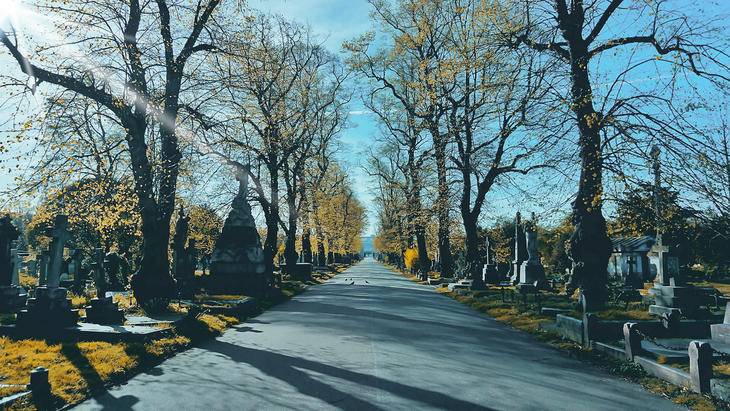 Brompton Cemetery is one of the 'Magnificent Seven' burial sites established in the 19th century — a time when London's dead threatened to drown the living. The cemetery boasts a tree-lined avenue, classical colonnades, underground catacombs and a time machine. The latter, according to local legend, is located inside the mausoleum of Hannah Courtoy. The oddest of tales have been spun around Courtoy's final resting place. The tomb and the tales unite two Victorian obsessions: weird science and Egyptology. Erected in 1854, Courtoy's memorial is supposedly a collaboration between Joseph Bonomi (Egyptologist, sculptor) and Samuel Alfred Warner (naval weapon inventor, likely charlatan). Bonomi himself rests within haunting distance of Courtoy. Hers is a striking monument, imposing, and on a light-failing winter's day, spooky. The little known about Courtoy's life is tantalising. An unwed mother to three daughters (two would be buried with her) Courtoy inherited a wealthy merchant's estate, became a socialite and loved a bit of Egyptology. Perhaps she even subscribed to the notion that the wisdom of the ancient pharaohs extended to time travel and eternal life. Add to this a lost key and the suggestion that the tomb is unmarked on Brompton's cemetery plans and the mystery deepens. I first came across the mausoleum while on an excruciatingly awful date. Had I known it was a time machine, with teleportation capabilities boasting a direct link to a graveyard in Paris, I would have picked the lock and jumped on board. Nowadays, with no amorous goth sixth-form boy to shake off, I can take my leisure. 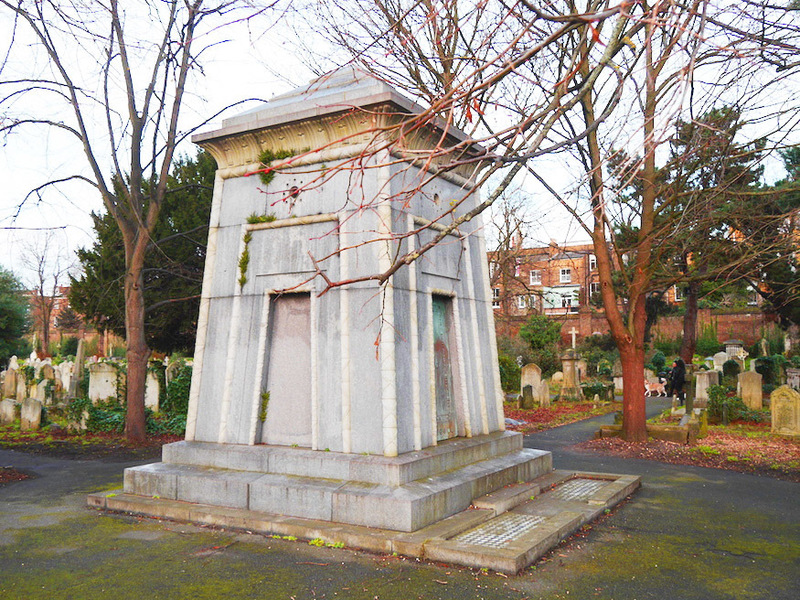 An amble around the Courtoy tomb always reminds me that the Victorians were an intriguing lot.